Maynard Art Show: First look at the colors. What an incredible blend of swirling greens, blues and browns, overlaid by curving rows of speckled white. Only Earth’s paint brush could have made such a masterpiece. 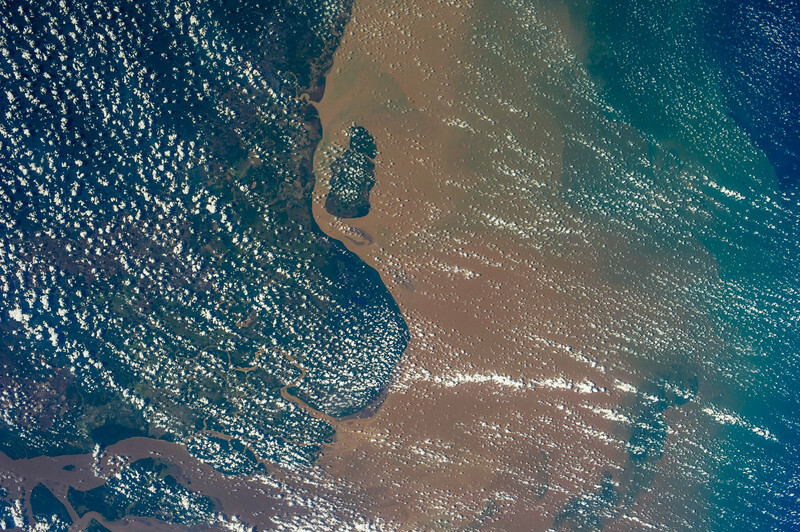 This is the coast of Brazil, where the vast Amazon reaches the Atlantic ocean. Tons of brown silt, carried from the rain forest jungles, flow, swirl and blend with the multi-hued blues of the ocean. Under the clouds on the left, mangroves and fertile swamps are almost untouched by humanity – one of the most pristine areas on Earth.